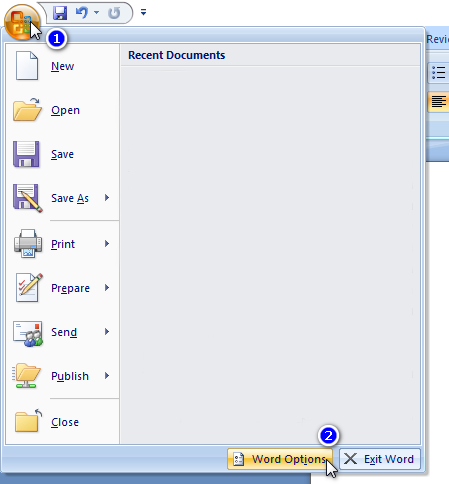 Microsoft Word is the best and most popular office tool around the world. It contains an easy interface and a lot of customization to type an essay in a short time. During typing any paragraph, you may need to change the fonts a number of times. To change the fonts, we usually click the fonts option and then select the desired font from the long list of fonts available on our computer. 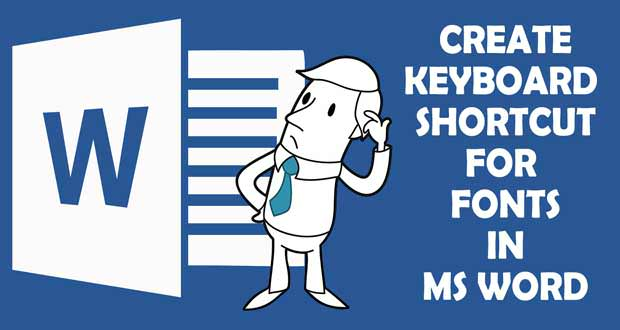 But, in this post from MaxBangla.com, you will know about the way to create keyboard shortcut of fonts in Microsoft Word for quickly jumping to other fonts. At first, Click the Microsoft Menu Icon (shown as 1). Then click on the Word Options button (shown as 2). A new window will come up. Click the Customize Option (shown as 3). Then click the customize button (shown as 4). Scroll down in the categories tab and click on the Fonts option (shown as 5). Then you will see the list of fonts installed on your computer. Choose the font of which you want to make a keyboard shortcut (shown as 6). Then click on the box (shown as 7), press and hold the Alt key and then press any other key. 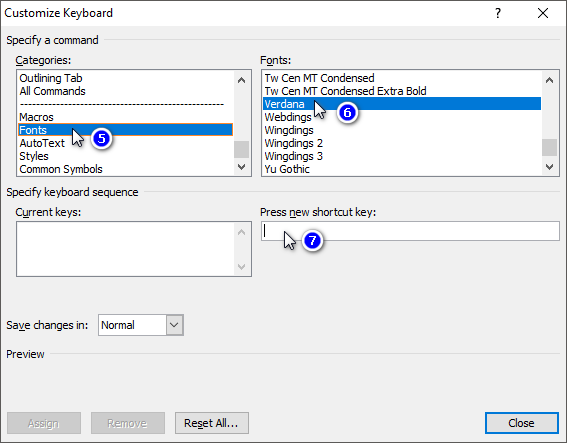 For example, I am creating a keyboard shortcut of Verdana font by pressing Alt+V key. When the below picture appears, click the Assign button. That’s all. You can similarly create other fonts also in the same method. 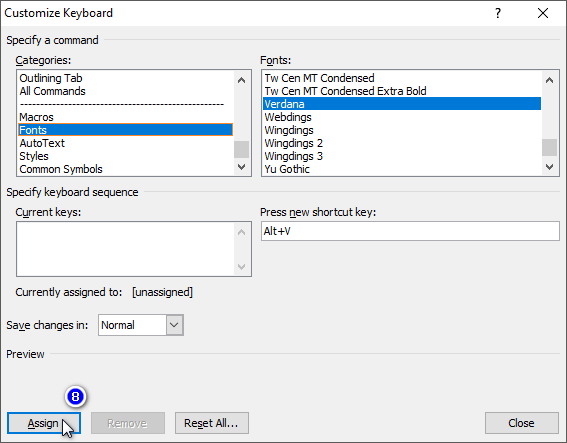 Just press the Alt+Desired Key to jump from one font to another.